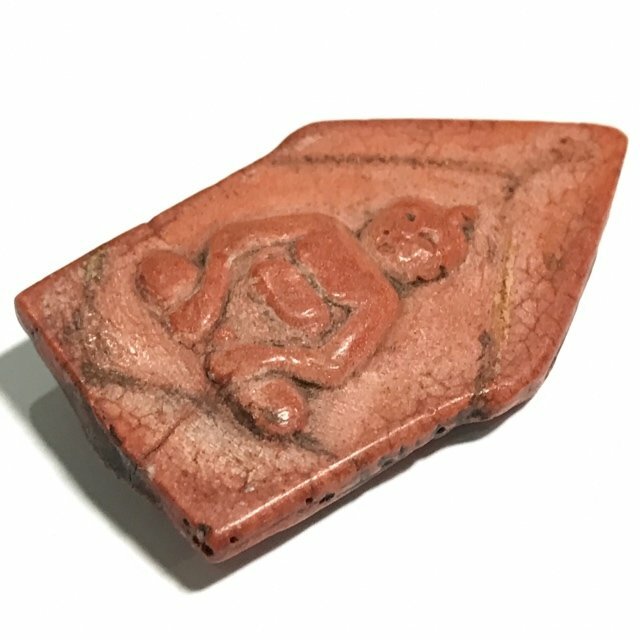 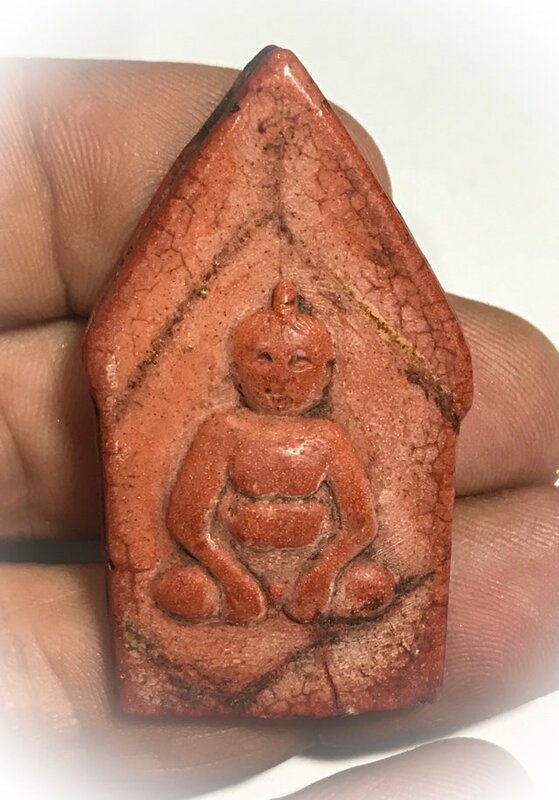 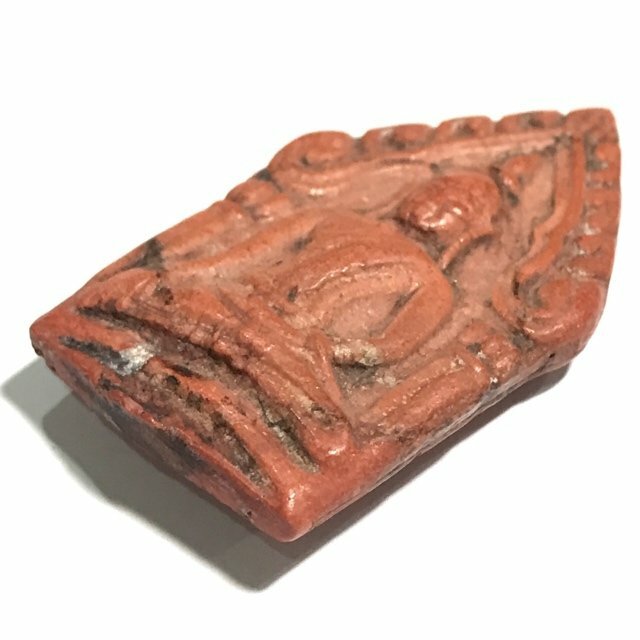 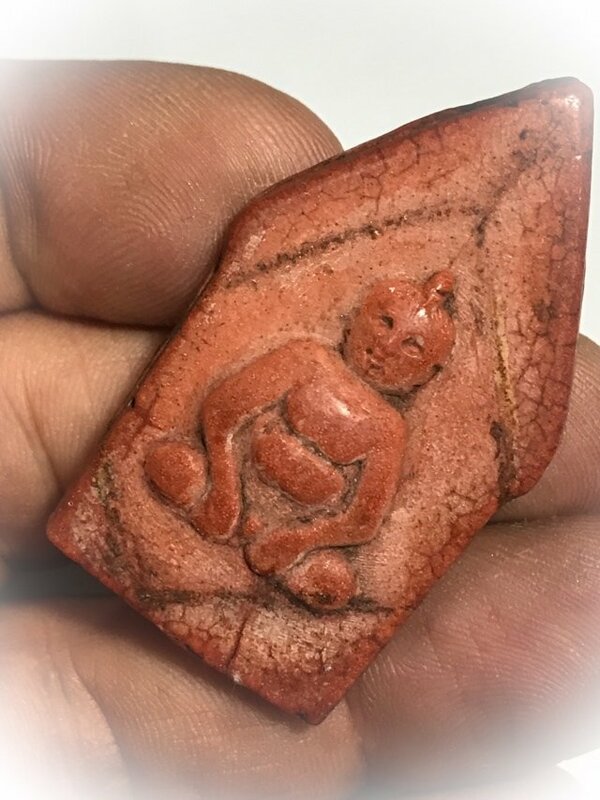 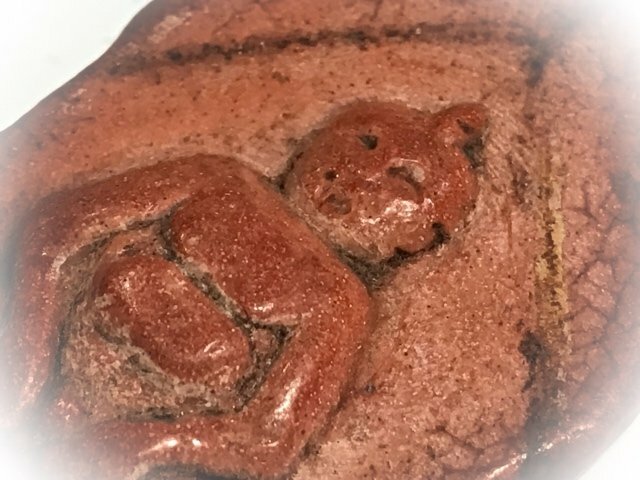 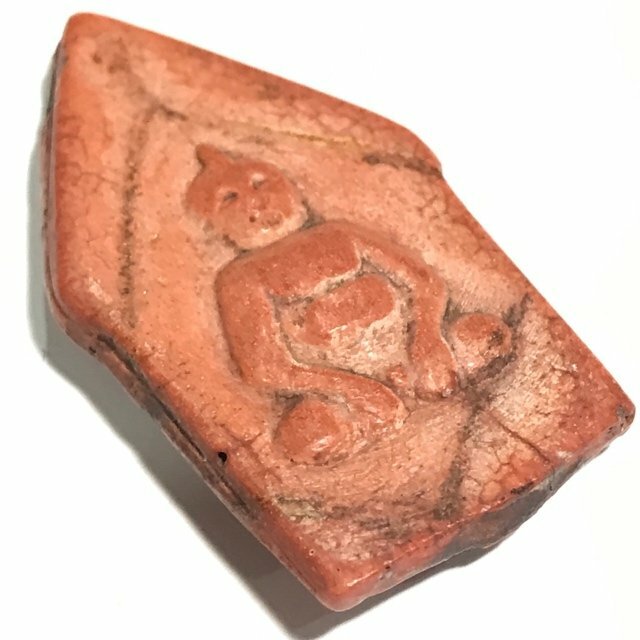 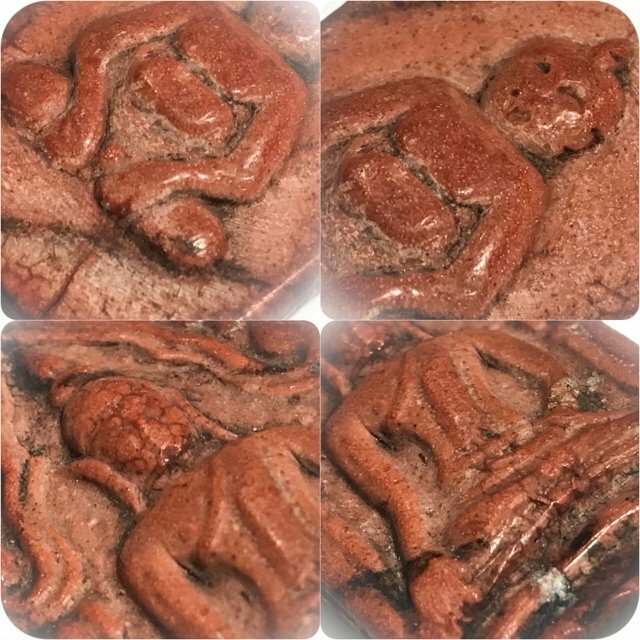 A very rare occult amulet from the pantheon of Luang Por Guay, of Wat Kositaram, the Khun Phaen Hlang Kumarn Tong Votive Tablet with Necromantic Hoeng Prai Child-Ghost on rear face, in Nuea Aathan Powerful Sacred Earths, Funereal Ashes, with Wan Sabu Luead Bloodsoap Herb Powders. 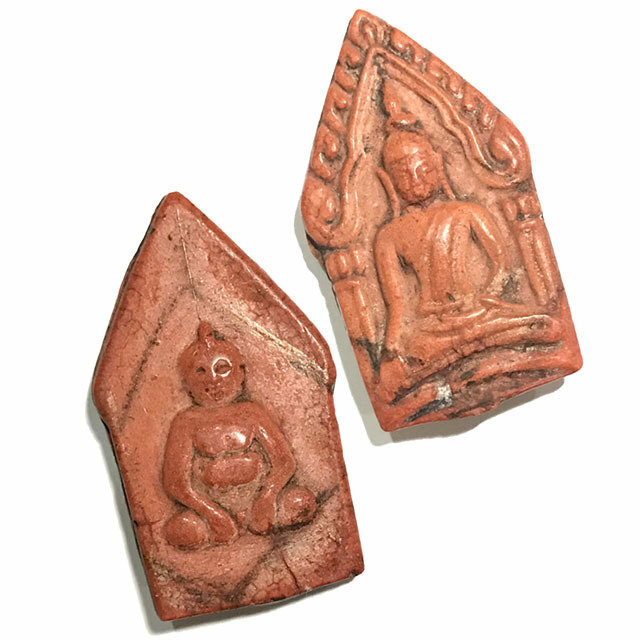 This exhibit is from the 2513 'Run Prasopgarn' edition from the great Master Luang Por Guay, and is along with all his amulets, highly reputed for its very powerful magic. 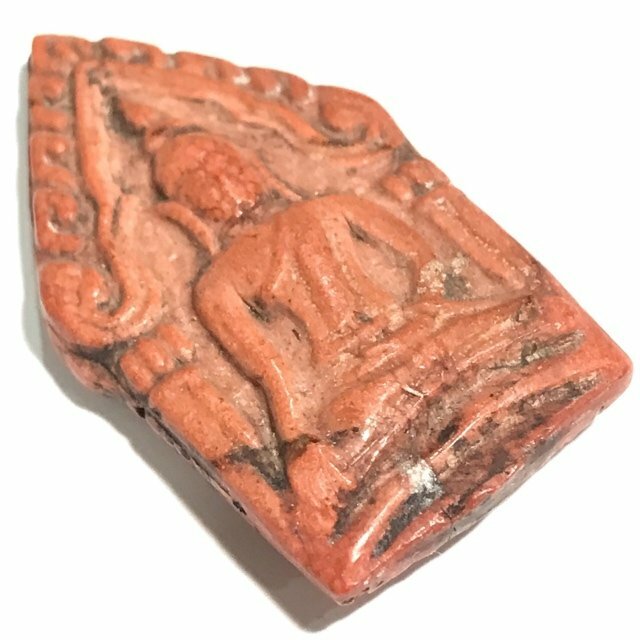 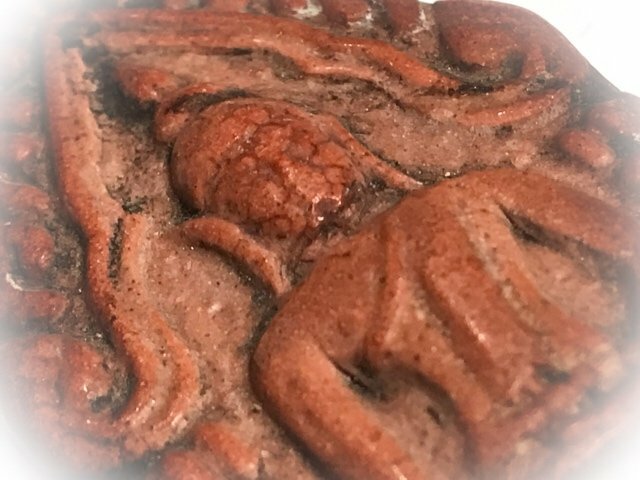 The Khun Phaen Hlang Kumarn Tong edition came to be known as the 'Run Prasopgarn' (Proved Powerful by Experience Edition), as it was given to many devotees who came to get Sak Yant Tattoos from Luang Por Guay. 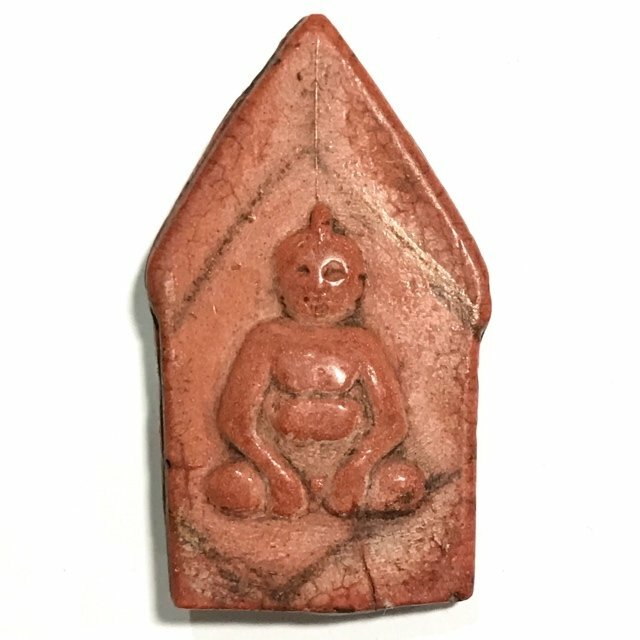 They would come to get four Hanuman tattoos (one on the back, chest, and each arm). 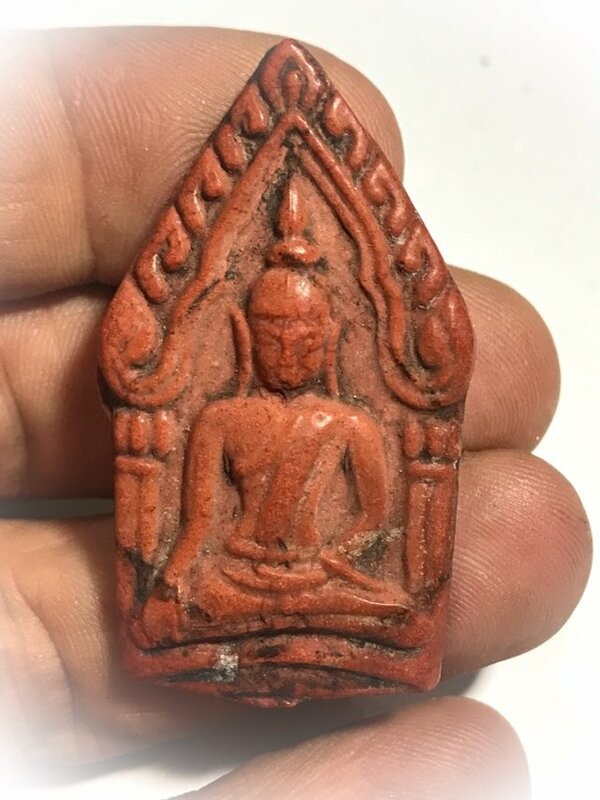 Most of Luang Por Guay's Looksit were Nak Leng (Gangsters) and Suea (Mafia Bosses and Villains), and would be entering into deadly situations on a daily basis. 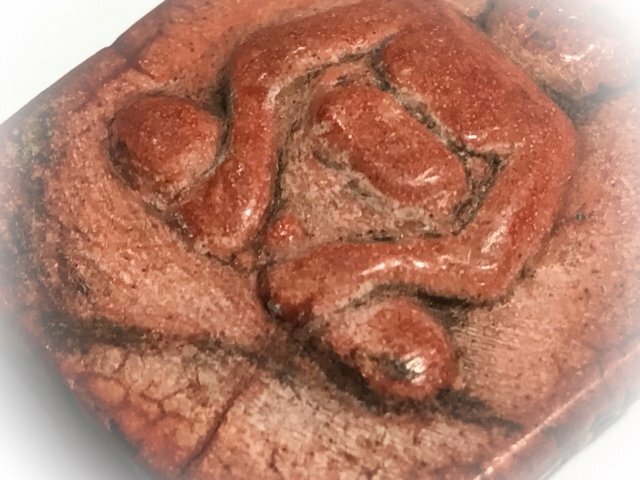 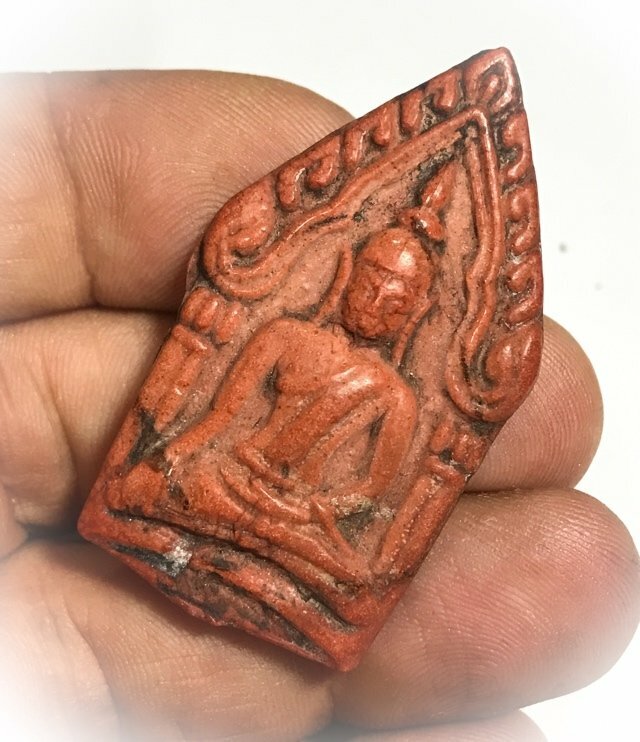 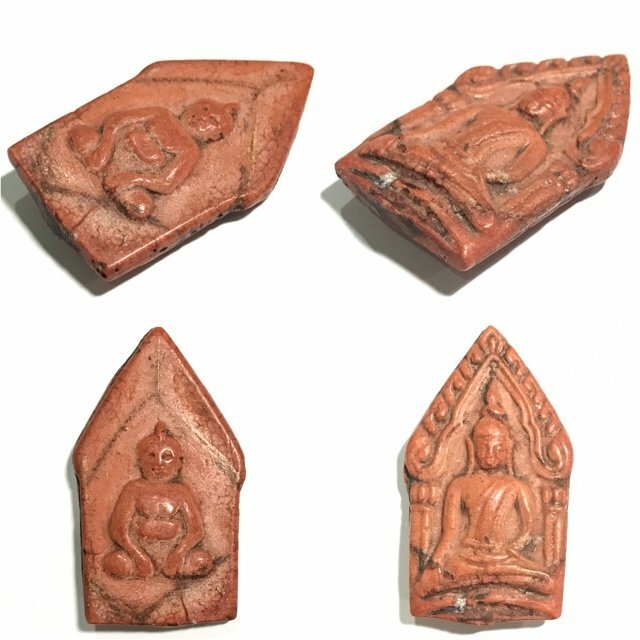 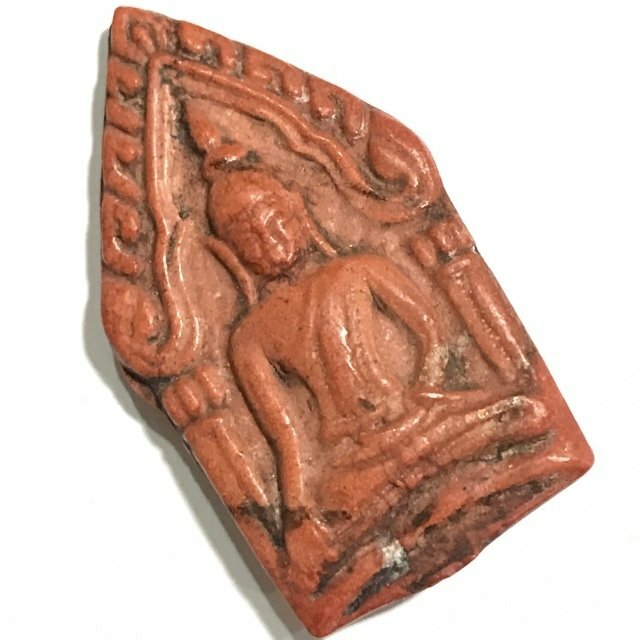 And so the amulets of LP Guay had more than their share of chances to test their power, and it was this extremely high quota of lifesaviing miracles experienced by his devotees who wore his amulets, that brought the Khun Phaen Hlang Kumarn Tong Run Prasobgarn, and other amulets to such great favor. 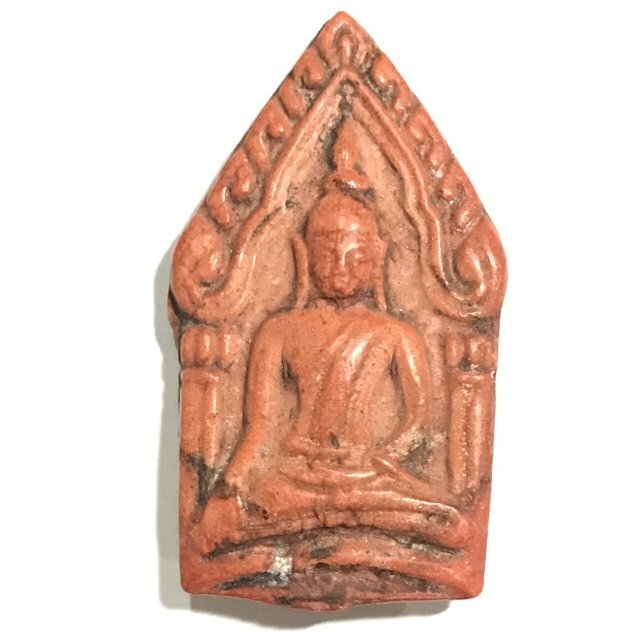 Say this 3 times, and the next day chant only once. 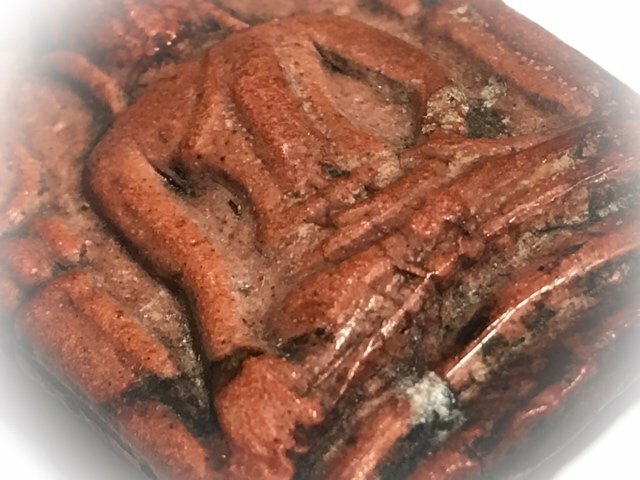 You must always remember his name and must introduce him to all people in the house, and ask him to also protect and lend prosperity to them all.